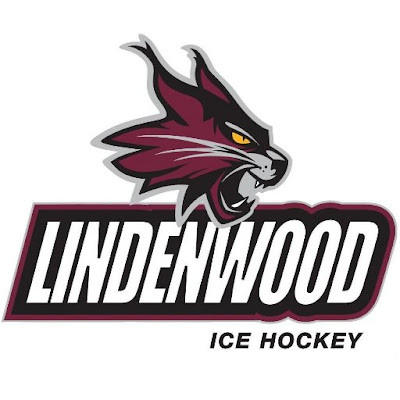 This semester, I have had the opportunity to work with the Lindenwood-Belleville Men’s and Women’s Ice Hockey teams. I am very grateful for this opportunity, as I have grown up around hockey and there are few opportunities to get experience with the sport. I enjoy the fast pace of the game, the physicality, and the dedication of the athletes. The demands of hockey are not for all athletes. I have come to realize that the hockey athletes I have worked with are some of the hardest working individuals I have been exposed to in my clinical experiences. I appreciate the effort that they put in on the ice, in the classroom, and in the Athletic Training room. 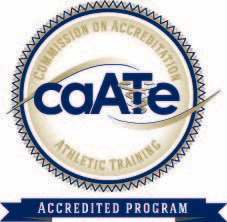 My role as an Athletic Training Student is more rewarding when the athletes are dedicated to rehabilitating injuries and geting back on the ice sooner and healthier. My preceptor this semester is Tim Woodstock MAT, ATC. Tim has been a great resource to learn from in my last semester as a student. He has been through an MAT program and respects my knowledge. Tim gives me the autonomy to take on whatever I would like on the ice and in the clinic under his supervision. I am able to refine my skills and feel confident in my independence. Tim also has many informational nuggets to share with me. He has a great skill for making whatever he needs out of what he has in front of him. I have learned not only different ways to manage injuries, but also how to make efficient use of what resources you have. It has been great to be at Lindenwood-Belleville for my full year of clinicals. When I come in for treatment hours at the Athletic Training Facility, I feel very comfortable. Everyone there is a familiar and friendly face that I know trusts my skill set, but will also be there to help me whenever I need it. Being at one clinical site for a full school year has really been beneficial to understanding what it will be like when I am employed in the future. I am very thankful for everyone on the staff at Lindenwood-Belleville for taking in a Billiken for a year and providing such a great clinical site!